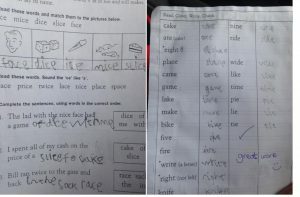 Submitted by a Connected Kids Tutor – handwriting improves after child practises meditation. Research demonstrates that meditation can help students strengthen their attention span, focus and concentration to support their academic performance (including those with ADHD). What you will learn…specialist skills with expert teachers showing you practical tools and based on professional, certified content.